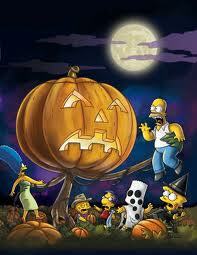 Since I grew up on The Simpsons, every October I would look forward to the Treehouse of Horror Halloween specials. I got so excited for them that I would actually watch the World Series baseball games just to watch the THOH promos. During Treehouse of Horror I, the only THOH to have Bart’s treehouse as the central location. Just like the series as a whole, there were some bombs along the way as the focus was more on parodies of popular movies rather than Halloween related stories. It was in those episodes that the spirit of THOH classics like The Shinning, Nightmare Cafeteria, and Nightmare on Evergreen Terrace were lost. But in the recent past, some of the episodes have been showing the old spirit that was in the old THOH episodes. Here are 6 that best do that. Homer and Marge’s romantic seaside get away drifts toward turbulent waters when they pick up of suspicious man lost at sea. There is different feel of suspense throughout the whole episode and it leaves you a little bit questioning what his intentions are. As one of the rare THOH episodes that feature simply Homer and Marge, the suspense along with side gags that long time fans will enjoy give this an honorable place on this list. The Grand Pumpkin arrives at the number 5 spot on this list. 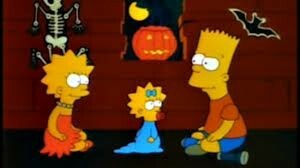 On Halloween night, Milhouse decides to forego the Halloween party to wait for the Great Pumpkin with Linus type faith. 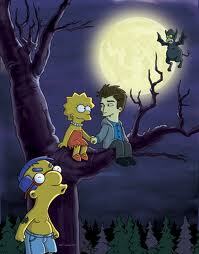 The Simpsons take on Twilight or as Comic Book Guy calls it, “The most barf-tastic horror franchise of all time”. This episode does everything that the previous episode did well, such as having Milhouse as Jacob to Lisa’s Bella & had Homer be Homer (in a higher degree). An added bonus to the episode is Daniel Radcliffe as the tween vampire Edmund. Its play on the Twilight-isms, great writing and Homer stealing the show makes this 1 of the funniest THOHs in recent years. This is Hitchcock inspired episode dials in as caller number 3. When Bart comes to Lisa with a proposal for revenge, Lisa initially accepts. But she is horrified when it comes time to do her side of the bargain. This episode nails the feel of just some of the aspects of a Hitchcock film from the black and white backdrop to the Hitchcockian cameo; all the while maintaining the Simpsons spice throughout the episode. This is the first THOH that actually felt chilling as I was watching it, reminding me as a kid when I would watch the THOH episodes which are now regarded as classics. The story & overall feel of the episode as well as pointing to THOH classic, The Devil vs. Homer Simpson is an excellent choice on this list. 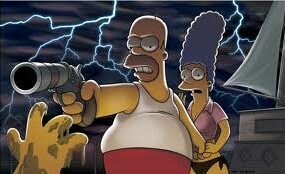 The middle episode for the 20th Treehouse of Horror munches its way to my number 1 spot. After Krusty’s latest burger turns all of Springfield into flesh eating zombies called munchers, the Simpsons must find a way to reach the safe zone. Everything in this episode screams THOH. 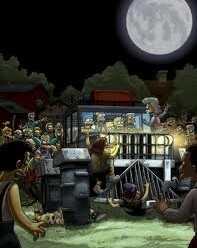 Whether you think the basic premise is either from 28 Days Later, I Am Legend, or even the THOH classic Dial Z for Zombie, it’s got a great story with consequence and its traditional Simpsons humor. From the overall episodes overall tone down to its very title, this is the perfect example of a THOH done right. 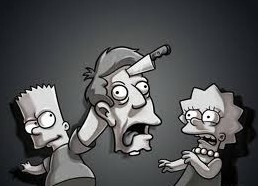 Will any episodes from this year’s Treehouse of Horror going to be remembered among the greats or just fade off like a depressed ghost? 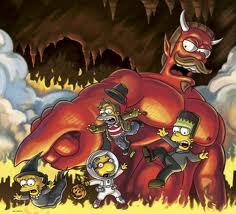 Find out when Treehouse of Horror 23 airs on Sunday October 7th 2012, at 8 p.m. on FOX! ← Will You Be Mis-Taken 2 See This?